Beleave Kannabis Corp. is a Canadian biotech company and an authorized licensed producer of medical-grade cannabis under Health Canada’s Access to Cannabis for Medical Purposes Regulations (ACMPR). The company’s larger strategy is to obtain cultivation and sales licenses and build out North American and European distribution channels. Beleave then hopes to expand production and capitalize on expected demand-growth spurred by cannabis legalization across Canada and in select US states. The company has swung into production at its 14,500-square foot First Access Medical facility, located near Hamilton, Ontario, and is expanding cultivation. Beleave is currently adding a 66,000 square-foot hybrid greenhouse to its existing site and has plans for a second separate 200,000 square-foot facility. Beleave’s second focus is on R&D of proprietary cannabis extracts that can be used in the therapeutic treatment of a wide-range of illnesses. This branch of the business vertically integrates well with the company’s cultivation operation. Beleave has partnered with a leading research team at Ryerson University to extract and isolate unique cannabis compounds which will be evaluated under clinical trials for safety and efficacy. 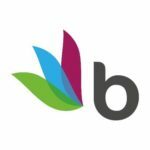 Beleave Inc. is a biotech company and Beleave's wholly-owned subsidiary Beleave Kannabis Corp. (formerly First Access Medical Inc.) is a licensed producer pursuant to the ACMPR. Beleave's purpose-built facility is located near Hamilton, Ontario. A complete list of commercially available brands and products coming soon. Are you intrested in joining the Beleave Kannabis team? Tell us about yourself using the form below. We appreciate your interest. Although we look at all submissions, we may not reply back to all applicants. Good luck! See the latest announcements direct from Beleave Kannabis - Coming Soon. Use the form below to submit a request to register as a patient customer. Do you have a favorite LP?